Enterprise companies trust ReviewTrackers to provide the data they need to make key operational changes. Our algorithm synthesizes and analyzes your customer feedback across all online review channels, tracks the topics you’re most concerned about, and summarizes your operational trends in an easy-to-read dashboard. Draw actionable insights from online reviews. Our algorithm analyzes the most common keywords within your reviews to understand what customers are saying about key parts of your business. Flag customer pain points. ReviewTrackers’ dashboard highlights negative sentiment in reviews based on common topics allowing you to spot recurring problems areas. Quantify your CX. Quantifying your customer experience can be hard. But ReviewTrackers draws from a huge data set: your reviews. Our platform’s data empowers your team to make changes and show quantifiable improvements to your CX. Know how customers feel about all your business locations. Group your review data by location, region, ownership group, or any other way you need to see trends in your operations. Easily see what all customers are saying. Get line-of-sight into all reviews and stay on top of what customers are saying about your business online. Never miss a review. Understand how customers feel about your business by using Trending Topics. Our proprietary algorithm measures the words and phrases that are mentioned the most often by your customers and visualizes this data within the Trending Topics feature on your ReviewTrackers dashboard. Capture business insights from online reviews to make well-informed operational changes that your customers actually want. You’ll create a loyal base of customers who’ll talk highly of your business online. ReviewTrackers’ reports can be customized for the right corporate stakeholders at your company. Our reports provide insights on the local, regional and brand level and can be customized to fit any enterprise need. 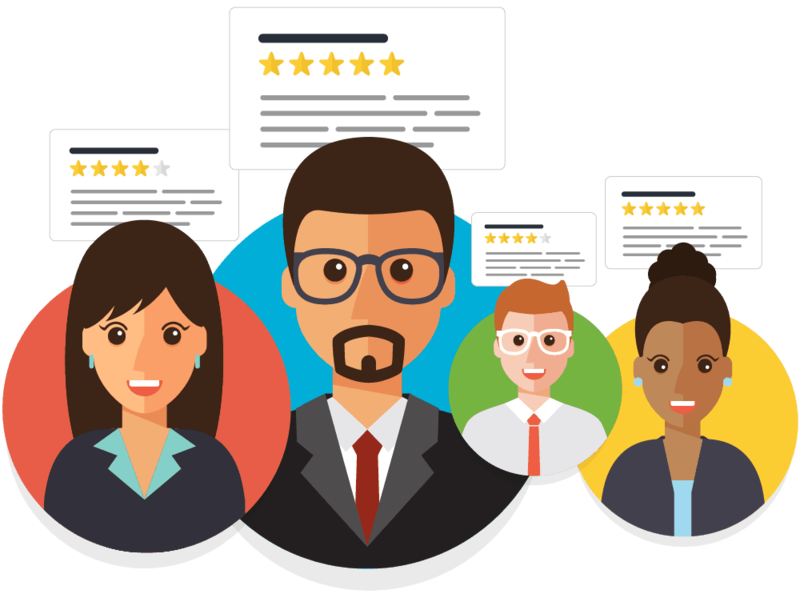 With 5 years experience and industry-leading technology, ReviewTrackers provides the expertise you need to get the most from your customer reviews. ReviewTrackers monitors 100+ review sites and has partnerships with major review sites like Google, TripAdvisor, and Facebook. Our sentiment analysis technology has been covered by the likes of USA Today and LifeHacker. We’re experts you can trust. You’ll have a dedicated customer success manager to help you make the most out our review technology. What’s more, our customer success team actually likes talking with our customers. We often take your ideas and use them as inspiration for new features. It takes collaboration to build a first-in-class product, and we are always looking to make life easier for our customers.